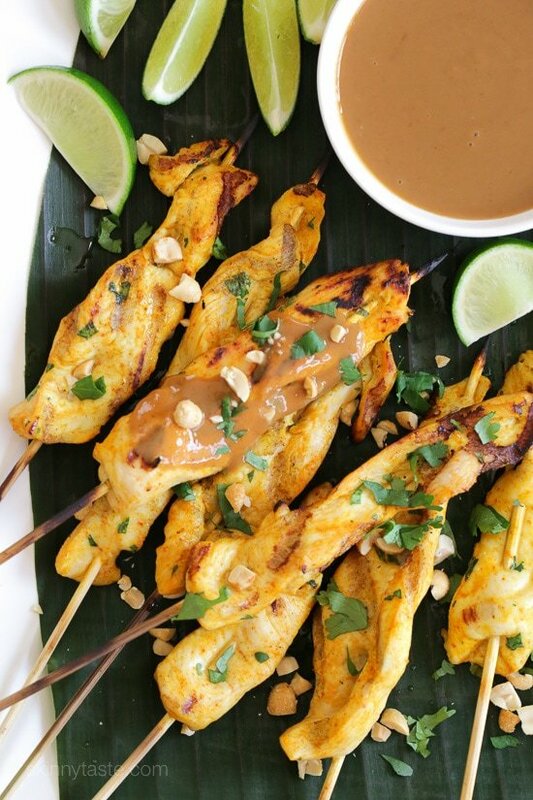 These easy, flavorful Thai inspired chicken skewers are marinated in coconut milk and spices, then grilled and served with a delicious spicy peanut sauce for dipping. Anytime we go out for Thai food, we ALWAYS order the satay! 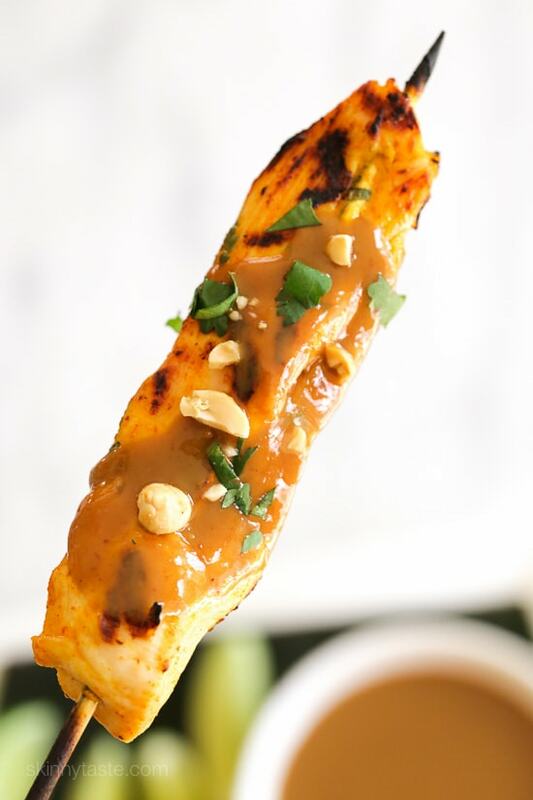 My husband is obsessed with coconut milk and peanut sauce, so I thought I’d surprise him with his favorite appetizer, and serve it as a main dish instead. 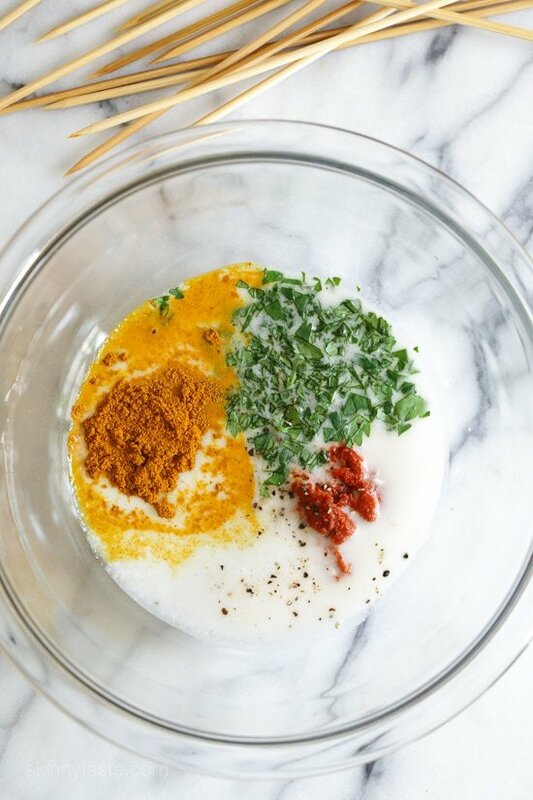 So good you’ll skip Thai take-out! He gave these the thumbs up, so I will def be making them again. 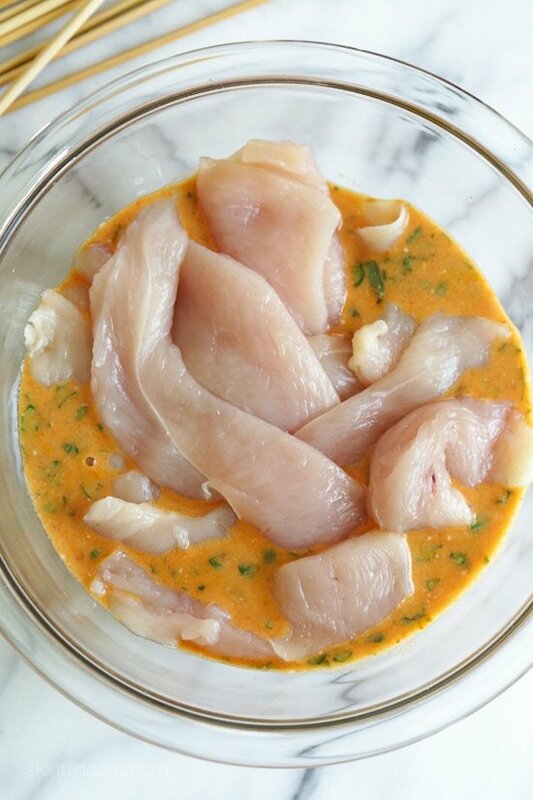 The chicken marinade I adapted from a recipe I found on the Food Network, but I used my tried and true peanut sauce recipe that never fails me. To lighten it I used Better N Peanut Butter which I really love in sauces (they carry at Trader Joe’s) but regular peanut butter would also work. To make it a main dish, we served it with rice and sliced cucumbers. 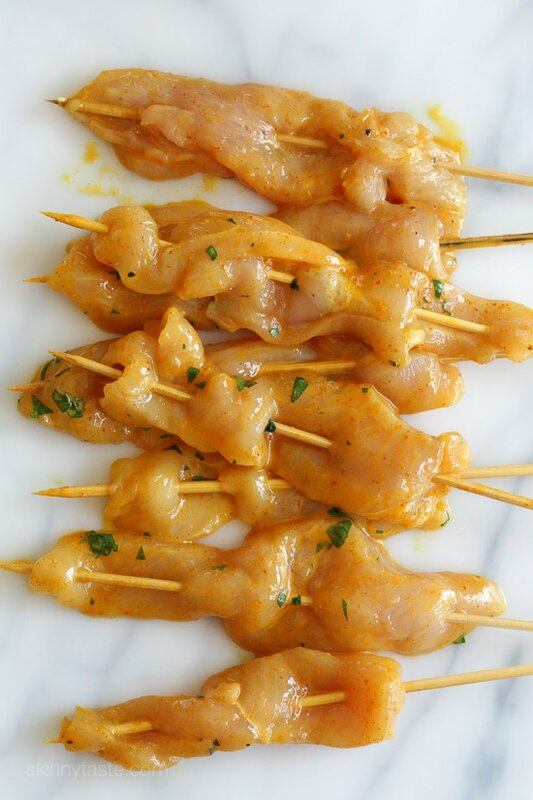 These would also make a great appetizer if you’re entertaining outdoors this summer! To prevent the sticks from burning, I recommend soaking them at least one hour while the chicken marinates. These flavorful chicken skewers are marinated in coconut milk and spices, then grilled and served with a delicious spicy peanut sauce for dipping.